No need to go to a steakhouse to enjoy a juicy New York Strip Steak, cooked to perfection. Follow my tips and you can make a superb steak dinner right at home, on your stove, in less than 30 minutes! The buttery Gorgonzola Cream Sauce is optional, but you’d be crazy to skip it. ? The most amazing, mouthwatering sizzling steak is here! The kind that has the crisp crust and the tender, juicy center that makes people pay the big bucks at fancy steakhouses. But instead of parting with your Benjamins, you get to do it at home for a fraction of the cost, no tip necessary! And if the steak by itself wasn’t marvelous enough, I made a gorgonzola cream sauce to go with it. Is it necessary? Absolutely not! Should you make it? Absolutely yes! The gorgonzola sauce is so unbelievably delicious that I was shamelessly eating it by the spoonful! My mom, observing as I was licking every single utensil that touched the sauce, had to kindly remind me that I am supposed to be on a diet. Oops! ? But it’s all good because it was SO WORTH IT! Diet or no diet, I simply can’t resist anything with gorgonzola, and this sauce is like a warm gorgonzola-y hug going down your throat. And it’s so easy to make, too! 1) Choose the best cut you can afford! Cooking a great steak starts with buying good quality meat. 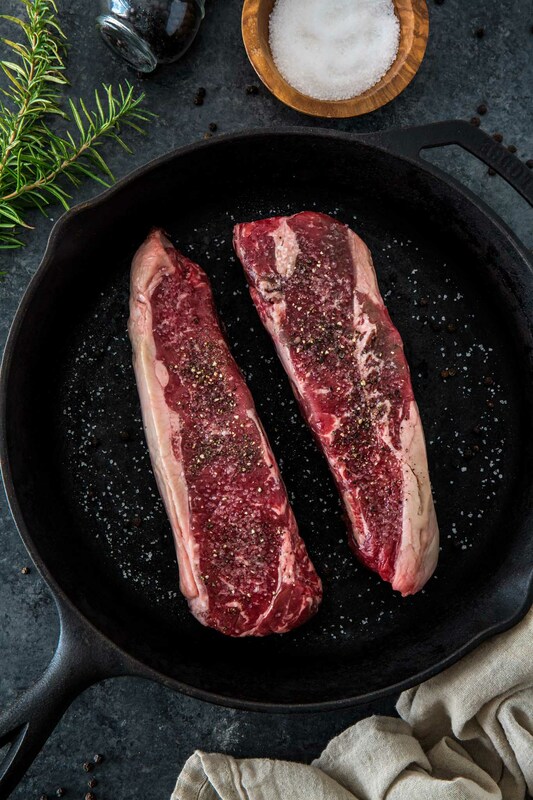 The best steaks for pan-searing are the boneless, thick, well-marbled cuts. Buy the best steak you can afford and ask your butcher for something that is at least 1 1/2 to 2 inches thick. My steak of choice? A thick New York strip steak. But you can also go with a ribeye or a top sirloin. A flat iron – although not as thick – is also a good, affordable option! If you get overwhelmed when visiting the butcher (or your grocery store meat section), there is no shame in looking for help. With over 126 beef cuts, I admit that I’m often confused, looking like a lost soul glancing at all the meat at my butcher’s shop. My trick? I pretend I’m texting someone and I quickly visit Beef. It’s What’s For Dinner, because they have a guide for every cut: where it comes from on the animal, how to cook it and all the nutritional information. Then, once I have the information I’m looking for, I nonchalantly talk to my butcher as if I’m the top meat connoisseur in the neighborhood! ??? Fake it until you make it, right? When in doubt, season some more! Nothing is worse than a beautiful steak that tastes like…nothing. So don’t be afraid of salt and pepper! And in case you’re wondering, there is no need to let the steak stay at room temperature before cooking. Just remove from the fridge and pat dry with a paper towel to dry it well, as moisture is the enemy of a perfect crispy crust. If you wanna get fancy, you can salt the steaks and let them air dry in the fridge, uncovered, on a rack set over a tray for a night or two. The surface moisture will evaporate and you’ll get a nice brown crust and a more concentrated flavor inside. 3) Invest in a Cast Iron Pan. My homemade steak game got way better once I bought one. The cast iron retains its temperature longer than other materials and won’t produce temperature spikes, so it will brown the steak more evenly. Cast iron pans are also heavier and thicker than other materials, so they tend to store more energy when heated. That does mean that this type of pan will take a long time to get hot, but – once hot – it will contain more thermal power than any other pans at the same temperature. What does that mean for us, the cooks? Amazing searing power! ? And that’s why I always use my cast iron pan for homemade steaks and burgers. The hot heat is essential for the beautiful crust we are looking for. So let your pan get smoking hot (literally) before adding the steaks. Make sure the pan is not crowded – if you’re cooking more than one steak, there should be at least a couple of inches between them – and flip the steaks as often as you’d like. Flipping will make them cook faster and more evenly. Oh, and don’t forget the edges! They deserve love just as much as the rest of the steak. A good way to sear it is to use tongs and hold the steak in place until a nice brown crust develops. Once your steak is almost ready, it’s time to get fancy and add a bit of butter, garlic and aromatics to make a hot baste to finish the steak. I add the garlic and butter first and then use a few sprigs of rosemary or thyme as my “basting wand”, caressing the steaks with the velvety flavored butter. That’s when my mouth starts watering in preparation to eating the most amazing, juicy steak! Just make sure you don’t add it too early or the butter will burn and turn bitter and acrid. And now we reached the part that will make or break your steak! I used to struggle so much with this, thinking my steak was done just to cut it and find out it was still raw in the center, or – the opposite – getting it too well-done to the point nobody wanted to eat it. Forget the poke test! You gotta invest in a meat thermometer. It is the only reliable way to know for sure that your steak is cooked to the desired temperature. And since we are talking about temperature, I wouldn’t recommend cooking a beautiful steak well-done. The longer you cook a steak, the tougher and drier it gets. So medium-rare is usually the recommended temperature for the best tenderness and juiciness, with the interior mostly pink with just a little red in the center. For those results, you should remove the steak from the heat at about 145F – 8 minutes total cooking. Now, some people simply don’t like red in their steaks. So the best compromise would be cooking the steak medium – mostly gray with a small amount of pink – and removing from the heat when it reaches 160F degrees, after about 9 to 10 minutes of cooking. That being said, if you really need your steak well-done, just cook it for longer and be happy! What matters is that whoever is eating is happy with the results! For maximum juiciness, let your steak rest for a few minutes before serving. The resting allows the juices to redistribute into the meat and thicken slightly, so go ahead and control yourself for only 2 more minutes before digging in! When ready to serve, slice the steak – always against the grain – and go to town! ? 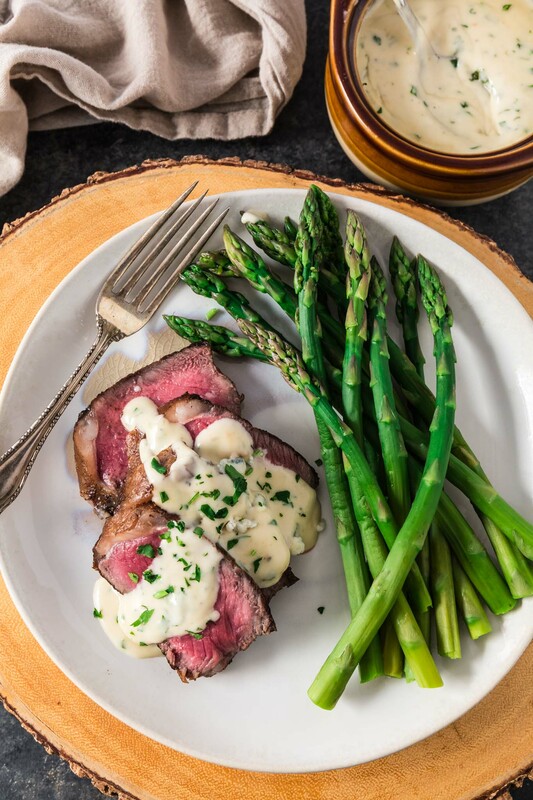 As we discussed before, your steak will be so delicious that you will be tempted to eat it without the gorgonzola cream sauce. Why bother with a lame sauce when you have the juiciest steak you have ever cooked in your life, right in front of you, ready to be eaten as-is? And here’s where I’m going to ask you to trust me. MAKE THE SAUCE! I promise that one small taste and you will be tempted to come back here to tell me I was right. Besides, all you gotta do is heat the heavy cream until boiling, add the gorgonzola and whisk until the sauce thickens. Finish off with some pepper and parsley and be prepared to smother your steaks with a sauce from the Gods! Phew! That was a long post. But I thought it was about time I shared my perfect homemade steak secrets here on the blog. 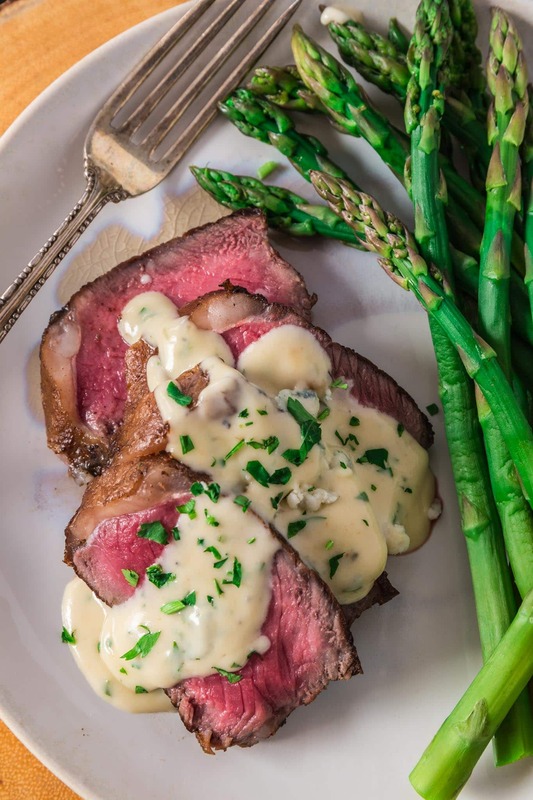 So next time you are due for a date night, stay home, light some candles and cook a New York strip steak following my tips for the uttermost success! I promise you won’t be sorry. And if you need more beef inspiration, just head over to the new Beef. It’s What’s For Dinner. website. They have a bunch of information on all things beef, from cuts and cookery, to a robust collection of recipes. If you’re a beef lover like me, that’s a great resource to have on your saved bookmarks! Pat New York strip steak dry with paper towel and season generously with salt and pepper. Heat a large cast iron skillet, over medium high heat, until smoking hot. Add the vegetable oil and swirl to coat the pan. Place the steak in the hot skillet and cook for 30 seconds without moving. After that, you can flip frequently (using tongs) until both sides are seared and the internal temperature has reached 145F degrees for medium-rare, about 8 minutes of cooking time depending on thickness. Don't forget to sear the sides! 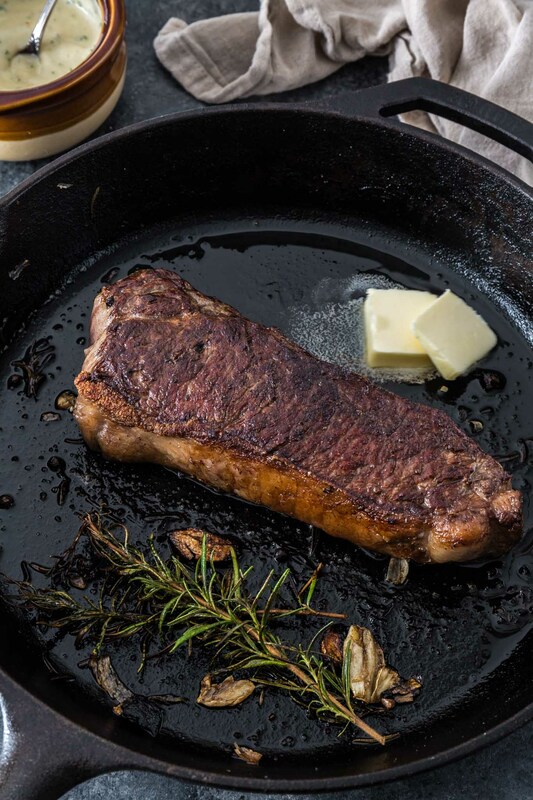 When the New York strip steak is almost done, add butter, garlic and herbs to the skillet. Use the herbs to baste the steak with the melted garlicky butter. Remove the steak to a cutting board to rest for at least 2 minutes. Slice against the grain and serve. Heat the heavy cream in a saucepan, over medium heat. Once it starts to boil, add the gorgonzola and whisk until the cheese has melted and the sauce thickens to the desired consistency, about 5 minutes. Remove from heat and add the black pepper and chopped parsley. Serve immediately with your steak! This is a sponsored conversation written by me on behalf of NCBA. The opinions and text are all mine. Those photos are totally drool worthy! The steak is masterfully cooked. Love the fact that you can have a fabulous steak meal with a rich and delicious sauce at home in 30 minutes!!! No nee to go out!!! This is just perfection! 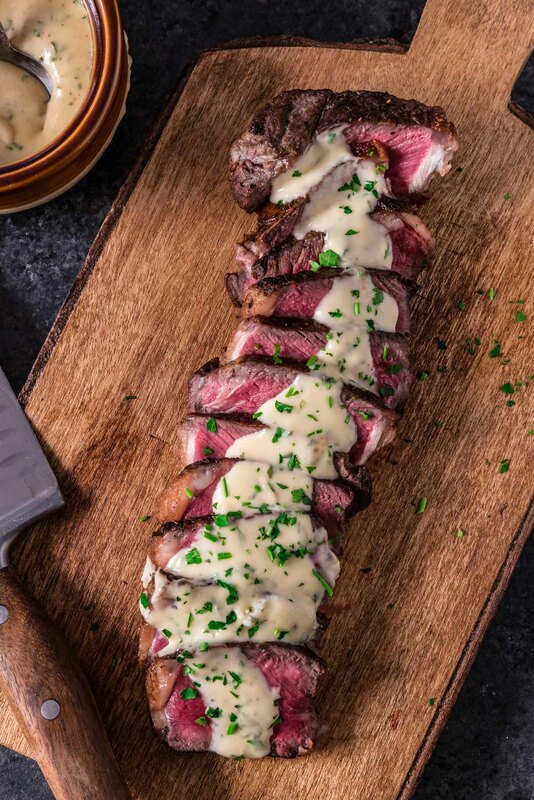 Nothing like a good piece of meat perfectly cooked and finished with a cheese sauce. This is a very elegant and flavorful meal indeed! That’s one good looking steak! Why in the world would I ever consider skipping the gorgonzola cream sauce? That’s worth every calorie of diet busting! OMG…that sauce!! I would eat it by the spoonful!! What a great dish to make on the weekend with a nice glass of wine!! The steak looks perfect and the sauce is to die for! 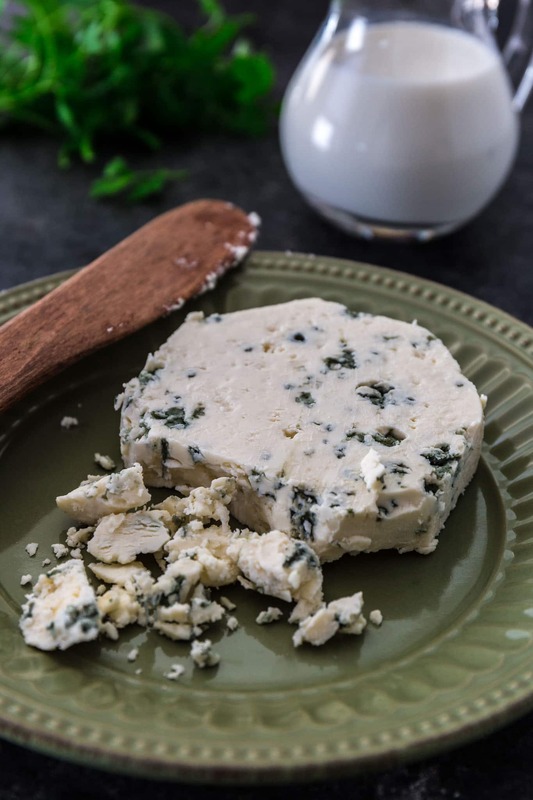 I love crumbling gorgonzola over my steak sometimes so this is right up my alley! This recipe reminds me why I love red meat so much. Steak is just tasty, and when paired with a sauce like that, yum!! Great tips, thanks for the help. I’m one of those beef novices. sigh. I am however, the proud owner of several cast iron pans, so am well equipped in that arena. 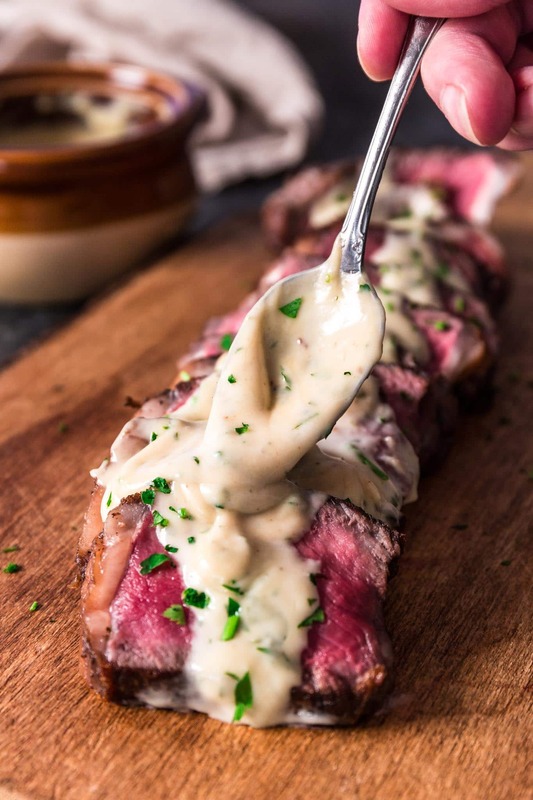 I love strip steak and I love cheese sauce. This sounds incredible. I love when the meat is soft tender, juicy and not over cooked. This looks perfect. BET it tasted heavenly. I am a meat person so I love steak!! 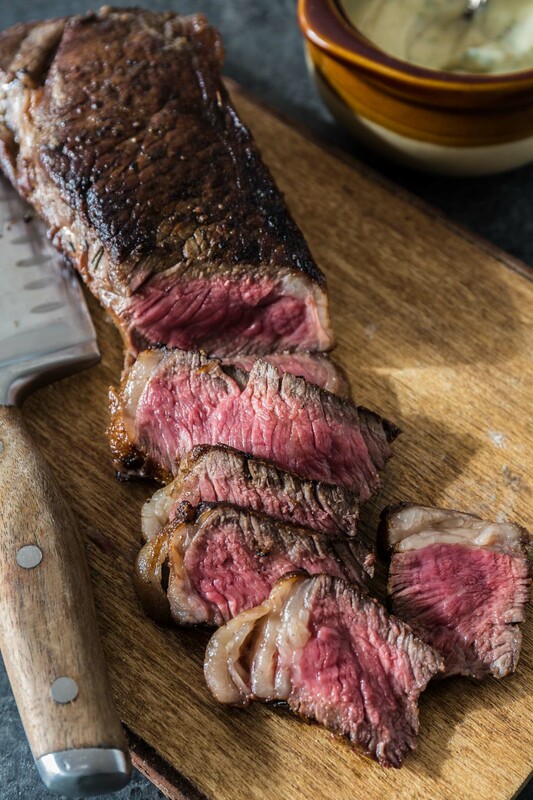 Your newyork strip looks Cooked to perfection. Lovely pics ? ?I’ll eat it without any fuss anytime. Thanks for sharing lovely tips too. Not a big fan of Gorgonzola cheese though so I’ll pass it.. Thanks for these great tips! And you know what, I don’t even bother faking it…I just jump right in and ask! Especially at a butcher shop or fish shop. Those people really know their stuff, and they WANT to help you make the right decision. 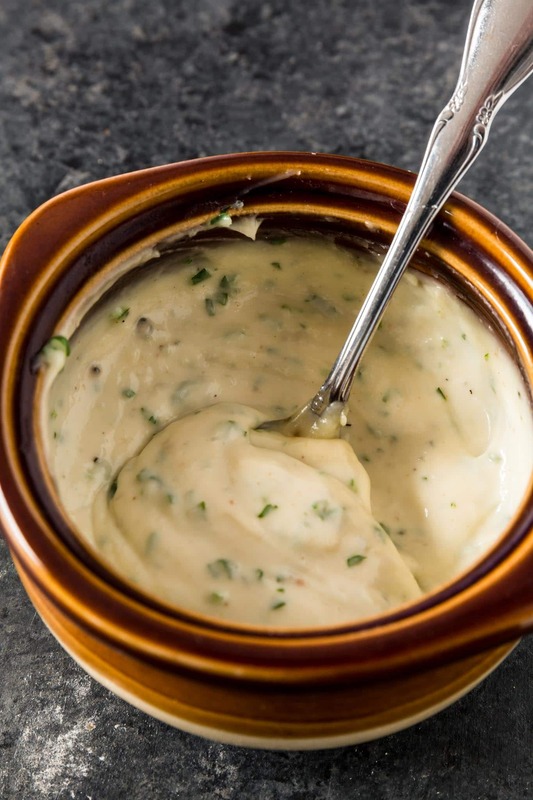 Oh, and that gorgonzola sauce looks absolutely AMAZING!!! These are juicy steak that too pan seared is so easy to put a great meal with less effort. Gorgonzola Cream Sauce looks delicious I thought it was blue cheese but this one is more creamier .